Vibrant animated display is sure to astound any audience! Orlando LED Firework Rental. 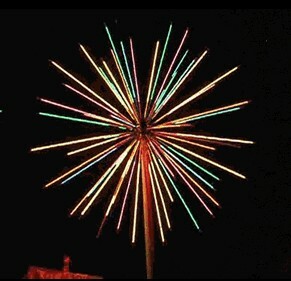 Our animated and colorful LED Fireworks measure 12 ft tall.